I never liked sweet and soft perfumes, for me they have to be sharp and spicey. 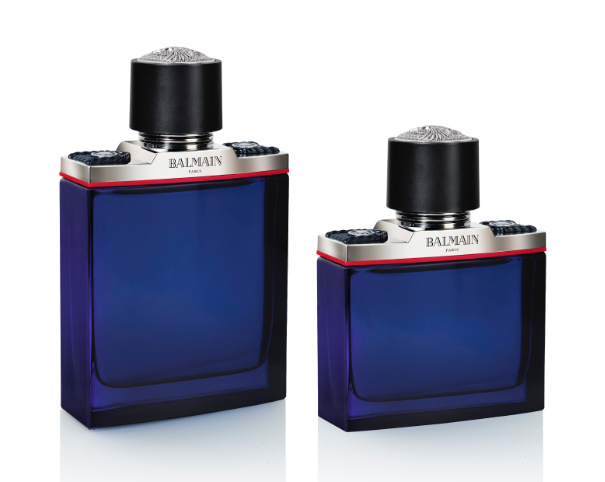 Thats why I really like the new BALMAIN HOMME, a woody, oriental scent. The metallic freshness of bergamote complements the thrill of spices. Selected by perfumer Olivier Pescheux, saffron and nutmeg provide a sensation that is as sensual as it is crisp. A vibration that energises and reaches the depths of the composition. The perfume resonates with leather like a second skin and the subtle violet leaf provides an unexpected forbidden fruit accord. A generous middle note and volte-face evoke the independence of the “made in” Balmain label. Like the military jacket, the bottle is clearly reminiscent of the architecture of the House of Balmain. Two imposing metallic epaulettes embellish the midnight blue glass. A powerful, totally masculine detail that evokes Olivier Rousteing’s taste for finery.